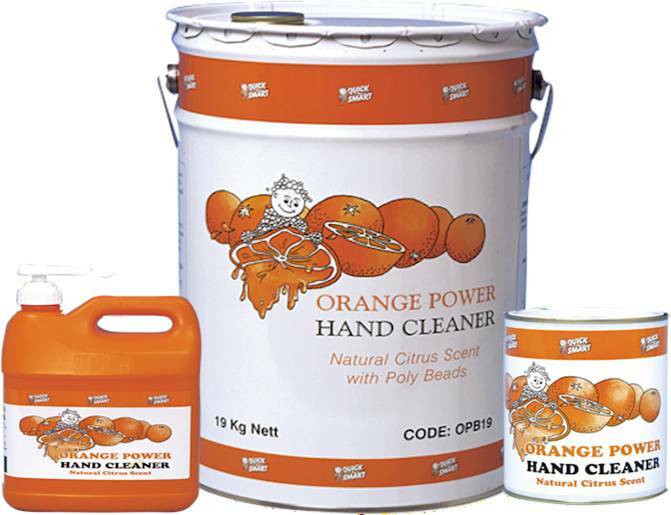 Orange Power Hand Cleaner with fine polybeads is a stiff hand cleaner containing lanolin and citrus oils. Orange Power removes the toughest grime, oil, paint, ink, silicone’s, metal stains and more. Also available in easy to use pump packs.